Goodreads says, "Cate Cahill and her sisters are considered eccentric bluestockings—a little odd, a little unfashionable, and far too educated for their own good. The truth is more complicated; they’re witches. And if their secret is discovered by the priests of the Brotherhood, it could mean an asylum, a prison ship—or an early grave. Before their mother died, she entrusted Cate with keeping them safe and keeping everyone, including their father, in the dark about their powers. When her father employs a governess and Cate begins to receive notes from her missing, presumed-mad godmother, her task becomes much more difficult. As Cate searches for answers in banned books and rebellious new friends, she must juggle unwanted proposals, tea parties, and an illicit attraction to the new gardener. Cate will do anything to protect her sisters, but at what cost to herself." *I've been seeing this one around the blogosphere a lot lately and I think it sounds really promising. Plus, look at the cover! It's so eye-catching! Oo, this was my pick last week! Looks so amazing!! Is it February yet?? I just heard about this one last week on someones WOW post! The cover is absolutely beautiful! This cover is so beautiful! That alone would probably make me want to pick it up, but it sounds like a fabulous read as well. Great choice! Haha the "illicit attraction to the new gardener" just makes me giggle a little. I'm super mature:) This one does sound really good though, I hadn't heard of it before! 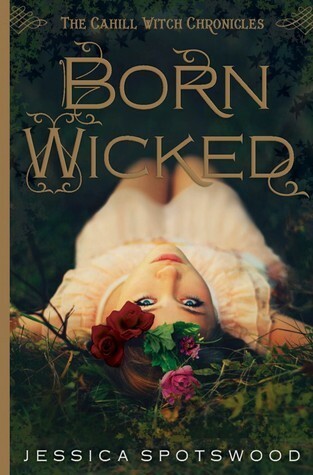 Yay, thanks so much for featuring Born Wicked today! I'm so glad you like the cover! Ooo great Waiting on Wednesday! oh my gosh, i want to read this one so much!! I mean, it's historical, and that cover-wow! Ohhhh, great pick! I love, love, love the cover for this! It's so gorgeous! :) I can't wait to read it! This does sound really good. I like the eye catching cover too. Fantastic pick! A special thank you to Jessica Spotswood for checking out my WoW! I can't wait for Born Wicked! What a cover! Hope to see a review of this, soon! I love this cover. Excellent choice.